← Video Assistant Referee – Good or Bad Move for Football? The talk about who will replace beleaguered Gunners boss Arsene Wenger is seemingly never ending. It is, of course, far from certain that Wenger will even leave the club in the summer. Whilst the thought of the Frenchman staying will send shivers down the spines of many a Gooner, others are keen to see him stay. Whatever side of the fence you sit on, the debate about who should – and indeed who will – replace Wenger is a fascinating one. Here we take a look at the key candidates for the Arsenal hot seat when, finally, Wenger does leave the Emirates. If you fancy a bet on any of these men it is worth noting that the market for next Man United’s next manager ran for well over 10 years before Sir Alex Ferguson finally retired! Now that is something to really scare the “Wenger Out” crowd! With Wenger potentially leaving it could make Arsenal a force next season. This will mean the league will certainly be harder to predict for those of us who like to bet on it. You can follow TeamFA for football betting tips and previews ahead of games in the Premier League to ensure you’re up to speed with the best content. Juve boss Massimiliano Allegri is the current favourite to be the next Arsenal boss. Priced at odds of 5/1 with BetVictor, the Italian could, perhaps, move to the Emirates with a Champions League success on his CV. As a player he was something of a journeyman but his managerial credentials show him to have made steady progress. He replaced Antonio Conte at Juve in 2014 and is tactically adept. He has signed well and his defensive organisation would be much-welcomed at Arsenal. His calm style would be popular with players accustomed to Wenger’s management approach and a win record of almost 71% at Juventus suggests he could deliver silverware. 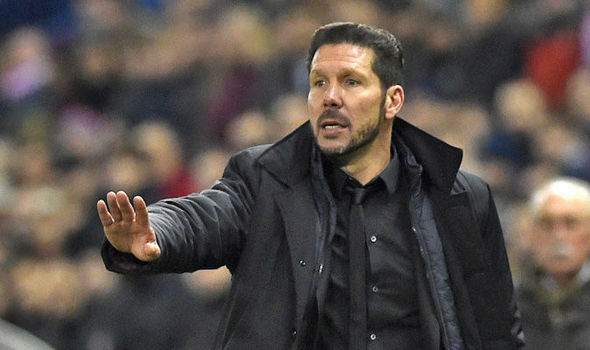 What Simeone has done at Atletico Madrid is quite remarkable. He is the 6/1 (Betfair) second favourite for the Arsenal job. He broke the Barca-Real duopoly in Spain to win the 2014 Liga title and could be about to guide his men to a third Champions League final in four years. Given he has sold a catalogue of superstars for huge profits and still thrived, he would be hugely popular with the Gunners’ money men. However, much of his success has come through signing South American players who could struggle to get work permits in the UK. Moreover, his overly defensive style would not sit well with many of the fans. Beyond the top two that dominate the betting to replace Wenger are a host of dark horses. Eddie Howe, Thomas Tuchel, Brendan Rodgers, Patrick Viera and Rafa Benitez are all priced at odds shorter than 20/1. Strong cases can be made for all of those men, whilst Leonardo Jardim has impressed at Monaco and is available at 20/1. Ronald Koeman, doing a solid job at Everton, is available at the same price and may also tempt punters – and Arsenal supporters. However, we think that the board will have learned from Man United’s errors. Howe has done a fantastic job at Bournemouth, likewise Rodgers at Celtic. However, replacing an icon such as Wenger is a nigh on impossible task. Only a proven, experienced and single-minded individual has any hope of success. For that reason we feel that Benitez may be a decent option at huge odds. The Spaniard has won a huge range of honours, including leagues and cups in Spain, England and Italy. Two Europa Leagues and a Champions League are further highlights, whilst he can work at all levels as several promotions have also shown. He has managed Real Madrid and Inter Milan and has been doing this job for almost 25 years. At 57 he is in the peak of his managerial career and odds of 20/1 look well worth a punt to us given the Newcastle board are yet to fully convince the Spaniard of their ambition. Posted on April 27, 2017, in Arsenal, Football and tagged Arsenal, Football. Bookmark the permalink. Leave a comment.